Alex is a a Registered and experienced Nutritional Therapist and qualified mindfulness and meditation teacher. I combine these two fields of expertise to help and support people to find a way of eating that works for them, a way which supports their health and wellbeing as well achieving freedom and empowerment around food and body image. 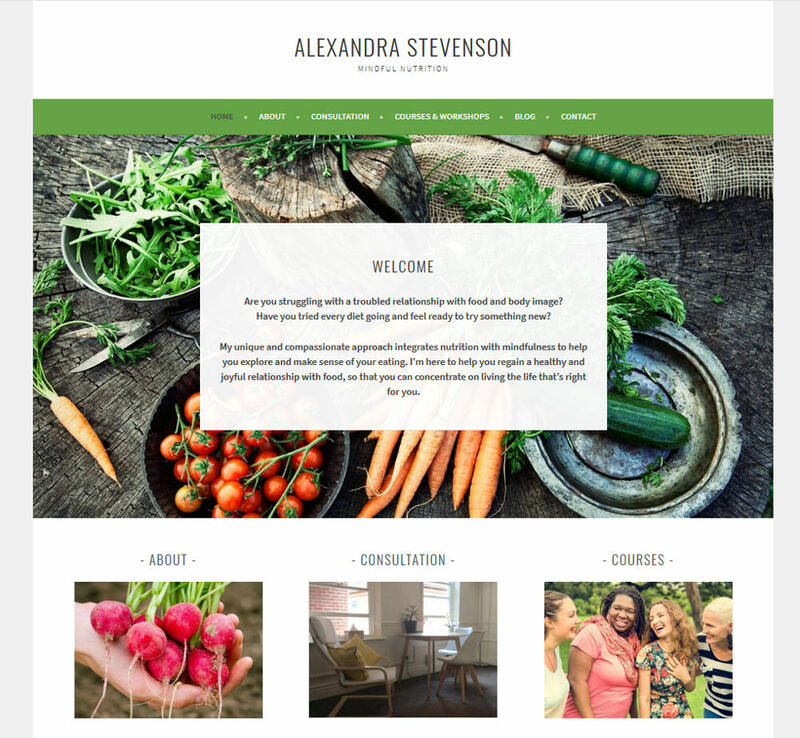 I have built other websites for Alex in the past and this was a simple website to promote her business.